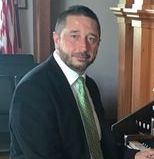 John Bailey began serving as the Organist/ Choirmaster at St. Alban's in October 2018. Lisa Givens is originally from the Norfolk, Virginia area. She moved to Huntersville in 2005, when her husband's job transferred them. She currently resides in Denver with her 5 boys and husband, Matt. Lisa graduated from Virginia Tech with an International Business and French degree. In addition to working at St. Alban's for the past 5 years, Lisa enjoys reading, gardening and watching her kids sporting events in her "spare time." Lisa's email address is lisa@saintalbansdavidson.org. Patti Rossini has been working with young children and their families for over 25 years. She has a B.S. in Speech Pathology and Psychology and a M.S. in Early Childhood/ Special Education. Her experience includes work in private as well as public schools. 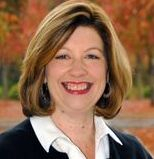 She has experience as a classroom teacher, administrator, and consultant. Patti has been married for 23 years and has two boys. She loves the beach, gardening, reading, shopping, fishing, and spending time with her family. Patti loves getting to know the families that she works with and partnering with them to provide the best, loving, Christian preschool program for each individual child. Erin Garrett is Director of Finance. Erin and her husband, Brad, have been in North Carolina since 1998 and live in Huntersville with their three children. Erin has her B.S. in Commerce with a Concentration in Accounting from the McIntire School of Commerce at the University of Virginia and a NC CPA license. Prior to coming to St Alban's, Erin was an Audit Manager at Arthur Andersen, a VP-Finance at Bank of America and a stay-at-home mom for 10 years. In her spare time, Erin enjoys playing tennis, watching her children's sporting events and reading. Erin works part-time and can be reached at 704-892-0173 or erin@saintalbansdavidson.org.